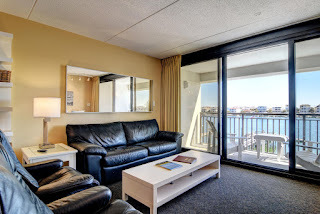 Located soundfront on Banks Channel, this 2nd level condo conveys fully furnished and is ready for immediate use. Stylish, modern coastal interior opens via sliders to covered waterfront balcony - sit and enjoy the best of the beach lifestyle. Ergonomic condo design affords spacious waterfront sitting area and well equipped kitchenette with dishwasher. Queen size bed, sleeper sofa and built-in bunks offer excellent sleeping arrangement for the entire family. 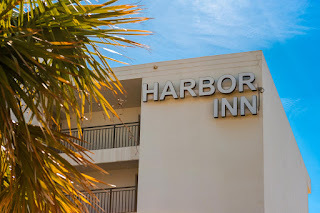 Harbor Inn amenities include elevator service, on-site management, community pool, and community dock with community boatslip. 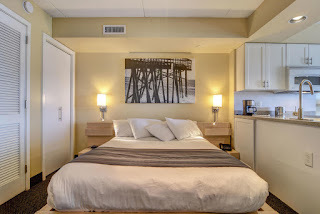 Located within just a wedge shot from the beautiful blue waters of the ocean and surrounded by local shops & eateries - Harbor Inn is perfect for secondary or investment rental use. For more information including current pricing, click here. 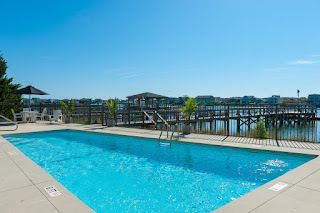 Or call Hardee Hunt and Williams at 910-256-6998 to schedule your private tour of 701 Causeway Drive Unit 2B. Own a piece of Cape Fear history. 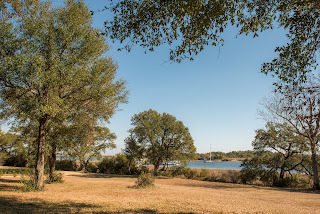 Discover this waterfront oasis nestled on a private island inside the gates of Landfall. 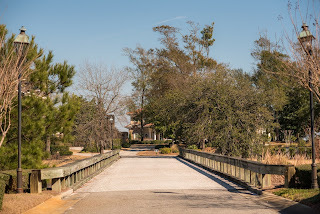 No other community on the NC coast can match Landfall's solid, proven history for sustained value, and this signature property represents the best of what Landfall has to offer. 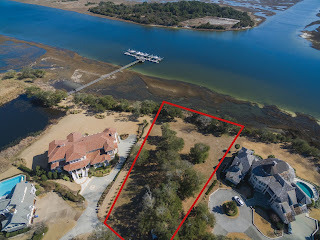 Boasting over an acre of direct Intracoastal waterfront property, this is one of only 10 lots in all of Landfall that comes with its own boat slip! From this high elevation, surrounded by old growth trees, you will enjoy sweeping views of Wrightsville Beach and Mason's Inlet. This last remaining vacant island lot offers the discriminating buyer a unique opportunity to build an architectural masterpiece in an unparalleled setting. For more information including current pricing, click here or call Hardee Hunt and Williams at 910.256.6998 to schedule your private tour of 1111 Pembroke Jones Drive and Landfall. 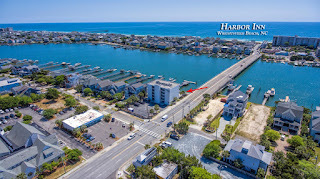 If you have worked with Hardee Hunt and Williams, you know why we are the locals choice for Wrightsville Beach real estate sales. 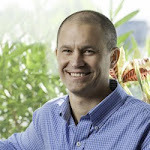 If you haven’t worked with us yet and are thinking of buying or selling real estate at Wrightsville Beach NC, you owe it to yourself to watch this first.